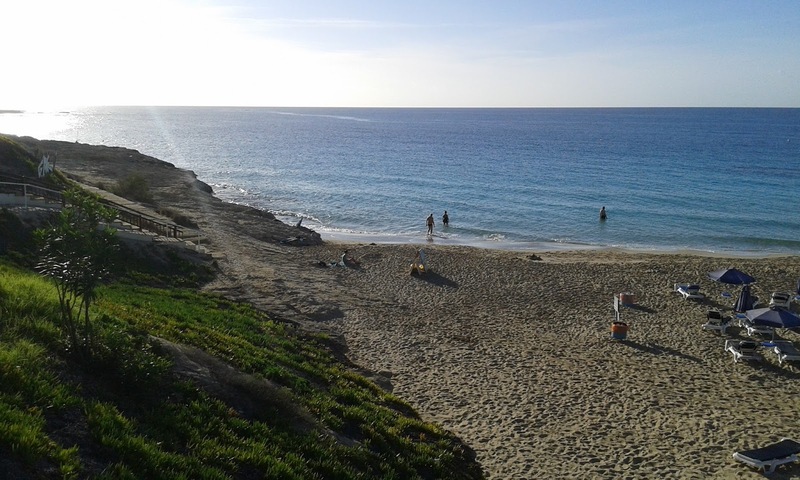 This is Glyki Nero beach in Agia Napa, taken on Friday at about 8am. Not bad for a November morning! I had taken the boys to school and I was on my way to my first Zumba class. As Leo starts school at 7;45am and zumba starts at 8:30am it wasn't worth going home so I took the scenic route down to Agia Napa. I saw the turning for this beach, and having never been to it before I swung the car down for a quick look. 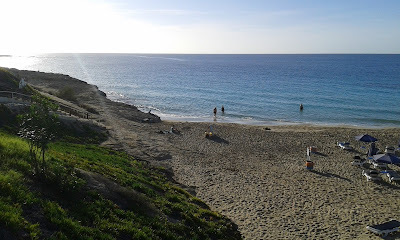 I love this time of year, the beach was almost empty, just a few people walking, a couple of people doing yoga and a few (possibly crazy) people swimming. And if you were wondering, I loved zumba and I'm going back tomorrow!